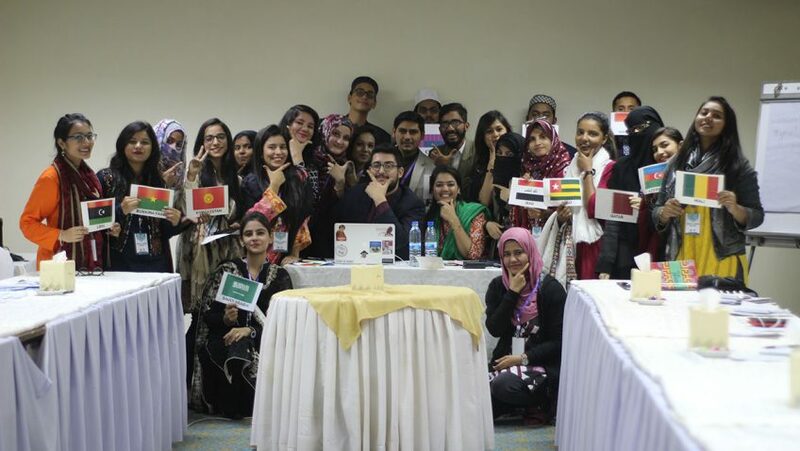 The 1st National Model OIC Pakistan was held in Karachi on 21-23 December 2018, with the participation of around 250 Delegates local universities and high schools, along with guests from Indonesia. The Delegation of the Islamic Cooperation Youth Forum (ICYF) was headed by Mr. Abdula Manafi Mutualo, Director General of Youth Policy (ICYF), who, on behalf of the Institution, addressed the Opening Ceremony on 21 December 2018. 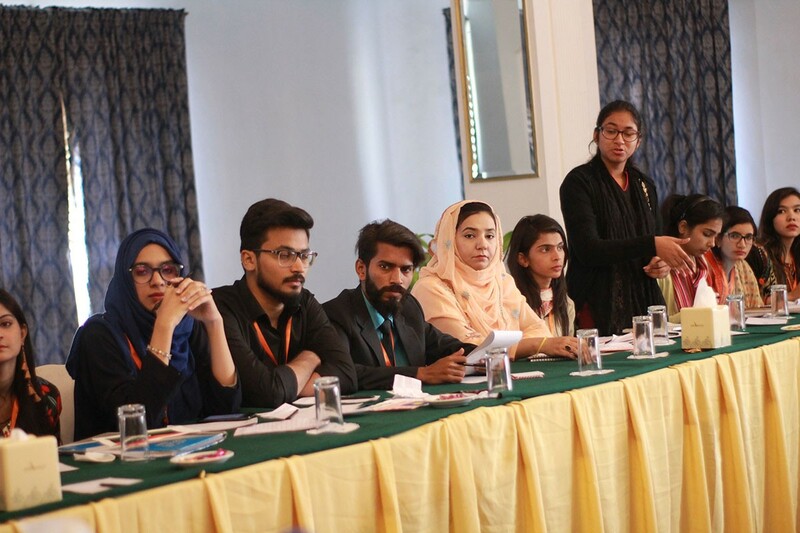 During his speech, Mr. Manafi enlightened the significance of primacy of identity in being Muslim, while highlighting the efforts of both the Organization of Islamic Cooperation (OIC) and ICYF in the sake of betterment of youth status in the entire region. Before he concluded his speech, Mr. Manafi thanked and appreciate the hard work and the dedication of organizers, particularly Ms. Rutaba Tariq, Pakistan MOIC National Coordinator, her Team, and lastly the important support of Sindh Government for ensuring the holding of the event. The first day of the Conference continued with the official sessions. Delegates were divided into 6 committees where they simulated the OIC Council of Foreign Ministers (CFM), Islamic Conference of Youth & Sports Ministers (ICYSM), Crisis Management, Islamic Summit, the Independent Permanent Human Rights Commission (IPHRC) and Standing Committee for Economic and Commercial Cooperation (COMCEC). Such first official sessions were followed by lectures sessions given by well-known academicians from reputable universities of Pakistan. In CFM Committee, Mr. Sabir Abu Maryam gave a lecture on ‘Prospects of an independent committee to overview the protection of holy sites in Jerusalem’ , In Crisis Management Committee, Dr. Talat Wizarat enlightened the topic of ‘Hostility between regional powers creating a divide in Ummah’ while in Ministry of Youth committee Ms. Ayesha Khan lectured about ‘Education as an important tool to empower the Muslim Youth and channel to positive activism’. On the second day of Conference (22 December 2018), the delegates began to finalize the discussions and moved on with Resolution drafting. Another round of lectures from experts were also part of the program for the 6 Committees. Mr. Barrister Ali Tahir Arain spoke about ‘The Legality of Trump’s Decision to Recognize Jerusalem as Israel’s Capital’ in CFM Committee. Mr. Mufti Najeeb Khan talked about ‘Sharia Law and Modern World’ in IPHRC Committee, Mr. Muhammed Feyyaz mentioned about the importance of ‘How to curb state sponsored terrorism’ in Islamic Summit Committee, Mr. Abdula Manafi Mutualo talked about ‘Creating Social Integration in OIC Countries’ in Ministry of Youth Committee after his lecture Dr. Amneh Daud Badran joined the lecture through online means to speak about ‘Theological explanation of Jerusalem’. The last lecture was given by Dr. Moiz Khan, which was on the ‘Economic Potential of Islamic Countries’ in Committee for Economic and Commercial Cooperation”. The last day was reserved for Committees to successfully pass/adopt draft Resolutions and Karachi Declaration. Delegates were significantly effective and productive which led the whole Conference to be successful. The Resolutions adopted by each of the 6 different Committees focused on a variety of subjects, challenges, and issues affecting the OIC Geography, as well as some proposals in terms of solutions expected for the Muslim World to consider and adopt in future. The 1st National Model OIC Pakistan Conference ended with the Closing Ceremony held on 23rd December 2018. The Ceremony started with the recitation of Holy Qur’an and followed with the speech of Ms. Rutaba Tariq, Pakistan National Coordinator of Model OIC. In her speech, Ms. Rutaba Tariq thanked the esteemed guests for gracing the event with their presence. She also acknowledged her Team in the speech stating that “Only recently Mr. Manafi something that hit me and my entire team. He said that between a humble starter and a nonstarter, always choose the humble starter and so for my team and myself, this is our humble starter, and we are not going to stop until we make a mark in history.” After that Mr. Abdula Manafi Mutualo, Director General of Youth Policy in ICYF took the floor and addressed the youth delegates. In his speech, Mr. Mutualo sent his gratitude to the organizers of the event and he also entitled the importance of the works done by ICYF and OIC to prepare the Muslim youth for the future. He also stated that ‘‘Future begins now, one second after from now on is already a future. This is what you are doing to be present here you are preparing your future’’. During the ceremony, Consul Generals of OIC Member States, Mr. Tolga Uçak Consulate General of Turkey in Karachi and Mr. Tshtiaq Baig, Consulate General of Morocco in Karachi, thanked the participants and all the partners of the organization for their wonderful efforts. Before the conclusion of the ceremony, Mr. Haroon A. Khan, Secretary Youth Minister in Sindh Youth Ministry took the floor and addressed the Pakistani Youth. During his speech, Mr. Khan mentioned that it was an honor of hosting ICYF in Karachi with this magnificent event which aimed at educating the Pakistani youth in the field of diplomacy, public relations, international relations, policy making and so on.